There's no bigger anti-Trump supporter than Bruce Springsteen, and it seems like the recent immigration ban was the last straw for him. The president signed an executive order last Friday forbidding entry to the United States by citizens of seven majority-Muslim countries, causing uproar all over the world. Americans protested at airports all weekend, while Hollywood made their voices heard at the 2017 SAG Awards on Sunday night. The 67-year-old singer was all the way across the world in Australia, but he nonetheless made his voice heard. 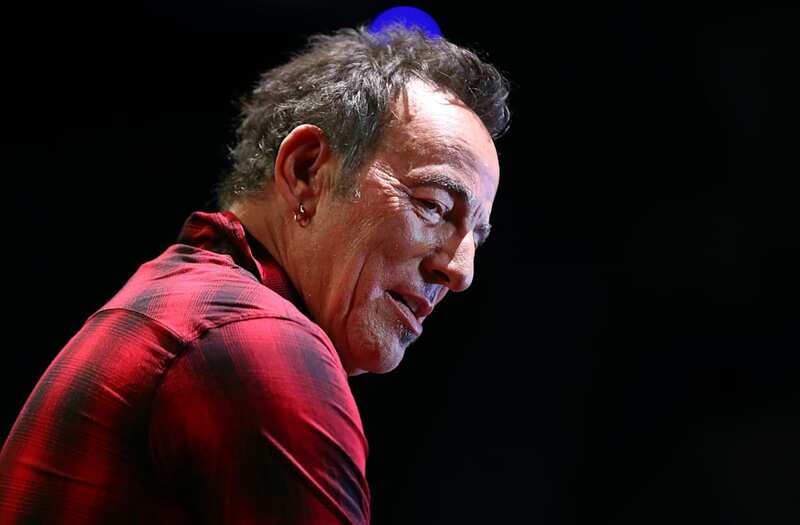 Springsteen was in the midst of a concert on Monday, and used the spotlight to talk about the controversial leader. "Tonight, we want to add our voices to the thousands of Americans who are protesting at airports around our country the Muslim ban and the detention of foreign nationals and refugees," Springsteen eloquently said. "America is a nation of immigrants and we find this anti-democratic and fundamentally un-American." Bruce then performed a rousing song made by combining a poem by a 19th-century American steelworker with music by singer Pete Seeger. He called the anthem "an immigrant's song." Other celebs have expressed their disgust of the immigration ban. At the SAG Awards on Sunday, "Big Bang Theory" star Simon Helberg and his wife hit the red carpet with a very telling message. He held up a sign that reads, "refugees welcome," while his wife had "let them in" scribbled on her chest. Taraji P. Henson brought her "Hidden Figures" co-stars to tears by providing hope in a time of uncertainty by exclaiming "love wins every time" in a moving speech.